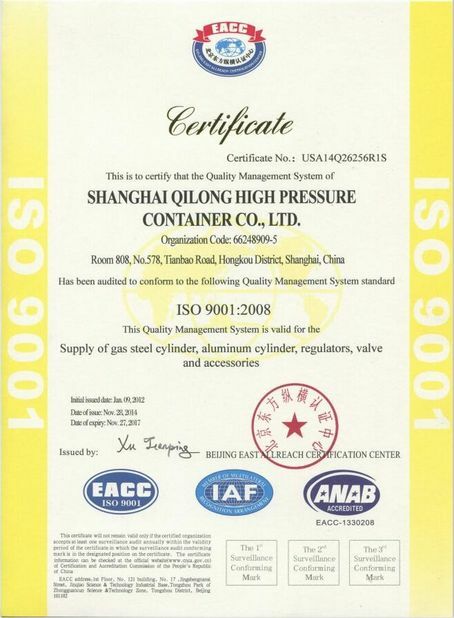 Quality Control - Shanghai Qilong High Pressure Container Co., Ltd. Visual inspection includes: inner & outer surface cracks, indentations, wrinkles, scars, scratches. Dimension inspection refers to: tube thickness, outter diameter, ellipticity and straightness, etc. a. Bottom visual test covers the tests of outer surface scar, wrinkle, indentation, projection, etc. b. Bottom blending test consists of ultrasonic thickness measurement and Ultrasonic Flaw Detection. We do full magnetic powder inspection on the cylinder surface thoroughly to detect defective cylinders with wrinkles or cracks. Leakage test is 100% done to ensure no leakage from the cylinder or valve under nominal pressure. 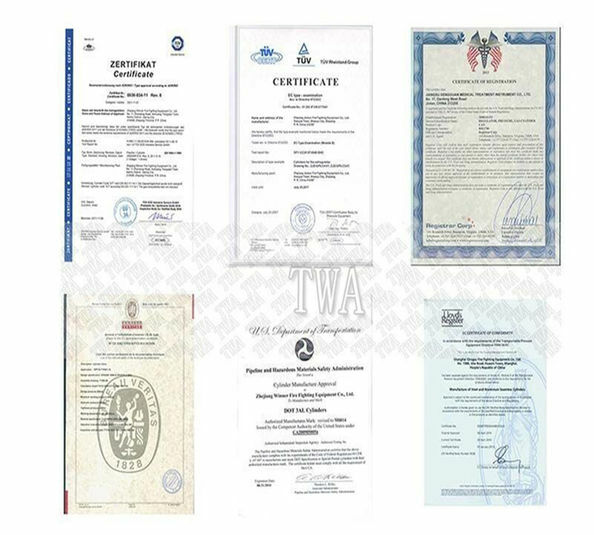 We do strict final inspection on the finished products, including painting apperance, valve installation, punch marking and packing quality, in order to make sure no any defective cylinder will appear as a final product, thus to guarantee each cylinder manufactured by us will be a perfect one. After heat treatment, we do metal mechanical properties test on each batch to make sure our cylinders 100% comply with relevant standards. We test the metallurgical structure and decarburization on each batch of cylinders after the heat treatment, in order to make sure our cylinders are 100% qualified and comply with the related standards. 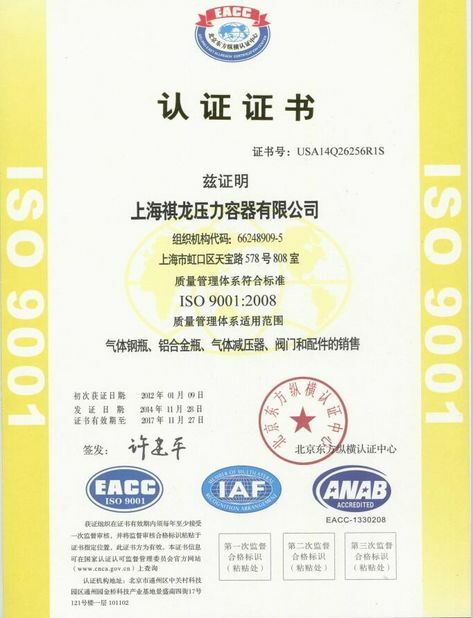 For each batch of steel tubes, we perform spectrum analysis on the chemical elements, to verify the chemical elements of the steel tube meet relevant standards. We perform cyclic fatigue lifetime test on each batch of cylinders under normal temperature to guarantee our cylinders conform to. Copyright © 2016 - 2019 highpressuregascylinder.com. All Rights Reserved.